At Esmark Finch, we had a great start to December. 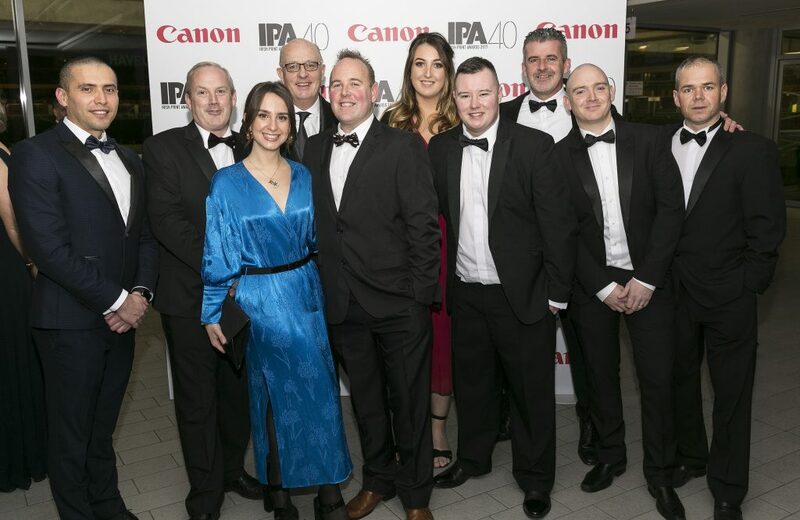 On December 1St , we attended the 40th anniversary of the Irish Print Awards at the Aviva, sponsored by Canon. 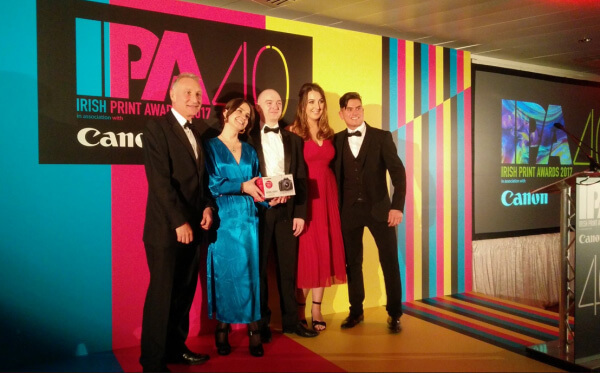 The Irish Print Awards recognise the best of the country’s print sector and regarded as the leading independent awards event for the Irish print industry. It was an exciting process and we were thrilled to find out we were finalists in all four of the categories we entered. When the big night arrived, the Esmark Finch team dressed up in their best and headed to the Aviva Stadium. Everything was impressively set up from the colourful stage to the festive decorations. 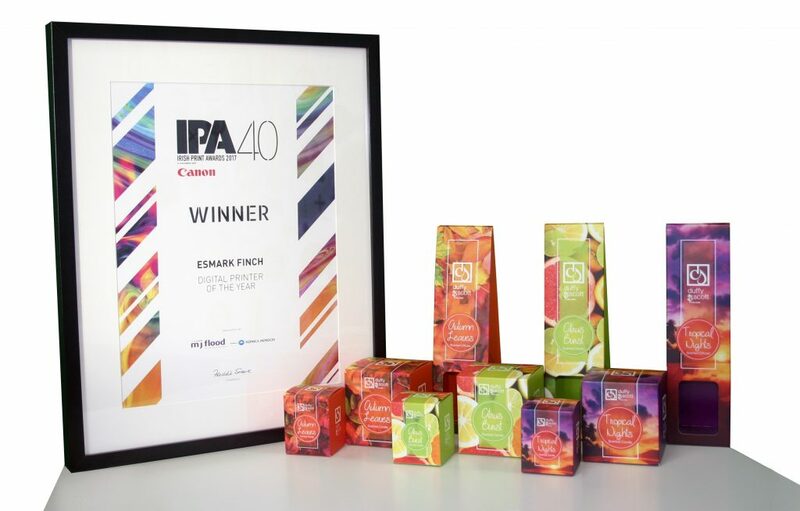 It was a great start to the night when Esmark Finch were announced as winners of a Canon camera for the best social media tweeting leading up to the event. Our Art Box team of designers play a decisive role in our own social media campaigns creativity and execution. Already excited from this win it was time to announce the winner for Digital Printer of the Year 2017. It was a tough competition as all the nominees in the category submitted impressive entries. 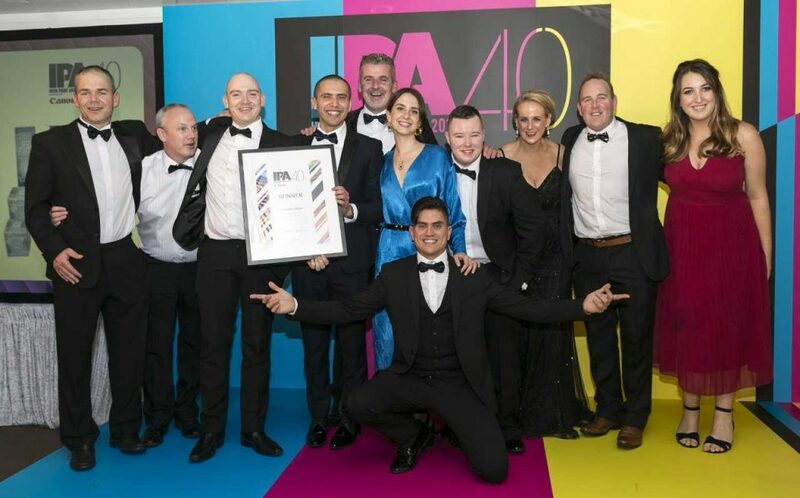 Esmark Finch were announced as the winners of Digital Printer of the Year and it was celebrated by the whole team immediately jumping from their seats and all going up to the stage to collect the award. Our long standing client Duffy and Scott Candle Makers, asked us to support a major rebranding and launch of a new ‘Seasonal’ range suite of products, and create and supply packaging for three of their premium scented products (Small candle / Standard Candle / Diffuser). 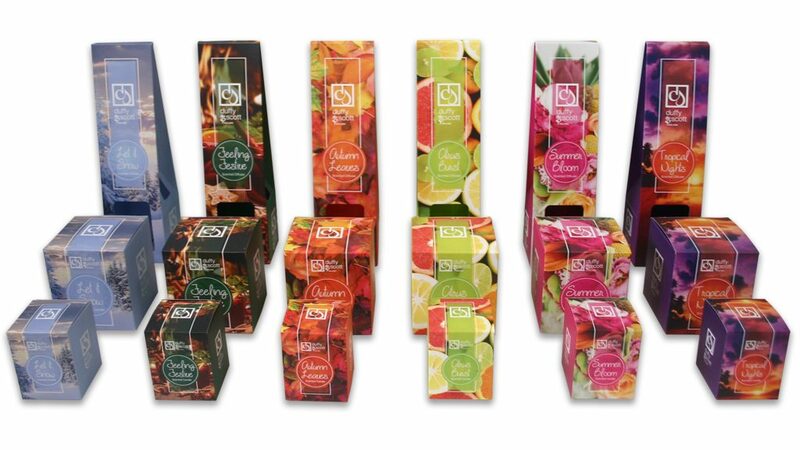 Our client wanted to create this seasonal range, and create different artworks for different scents within that range, so there was a requirement for multiple artworks across the three packs to be matched. They also asked for the packaging to be premium and durable. “Throughout the years we have worked with Esmark Finch in developing packaging for a number of new products. Each time they have helped us bring our designs to life, providing us with recommendations of new materials and production methods that have enhanced the overall finish of our products. The packaging for our new Seasonal Range were designed over the past few months. Once all the design elements had been finalised, Esmark Finch moved the products into immediate production which allowed us to launch the product successfully. Winning this award is a testimony to the hard work from the whole team at Esmark Finch and we will continue to strive to meet this standard in all our jobs as we go into 2018. We’d like to thank all our customers, suppliers, supporters and of course our employees who continue to produce top quality products such as this. 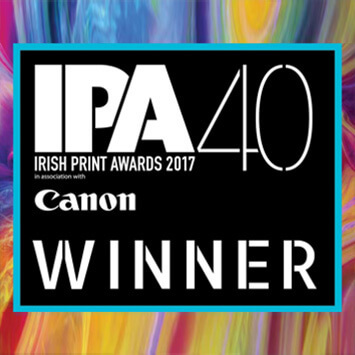 We’d also like to thank the organisers of the Irish Print Awards for putting on a fantastic, memorable night. The night turned out to be a well-deserved celebration for the team’s amazing achievement and we’re already looking forward to defending our title next year! To find out more about the capabilities of our artbox team, go here.